Today a friend shared a heartening story titled: “I would have died without Help to Rent”. It is about a single man with health issues suddenly finding himself on the streets but without the wherewithal to get accommodated, sadly a common story, especially given a housing shortage and hefty up front costs should suitable accommodation be found. The good news was a charity practically assisted him getting accommodated by giving / lending him the rent deposit / rent and being a guarantor, which helped save his life. 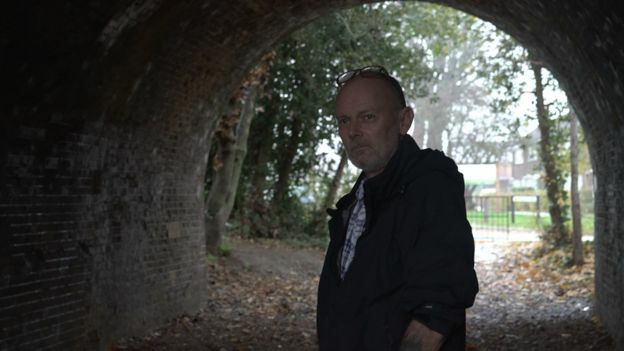 For Steve, homelessness started when his relationship broke down. This gave rise to some helpful exchanges, e.g. “I would love to do but it looks like it would need a fair bit of capital behind it to make it work plus willing landlords to take the risk and that may prove the sticking point” and “It’s the lack of willing landlords that would be the problem. The majority now wont consider benefit dependant tenants and we’ve found Southend Landlords don’t like bonds – they’d rather have the cash”. It also got me thinking about some of the things going on in my own town, e.g. a call for another all the year round emergency night shelter (extending the Church provision soon to resume), a call to make available empty buildings to provide rough sleepers respite from the streets. It also got me thinking nearly ten years ago when I looked into running a rent deposit scheme for my own town, which never materialized, as well as how we can all help in the practical outworking of the Homeless Reduction Act, due to come into force early next year and putting an onus on Councils to do what the Act intends to happen. While I am quite opinionated when it comes to politics, strangely enough I haven’t got over involved when it comes to homelessness, preferring rather to focus on what I can do and working with politicians and others to do what best benefits homeless folk. Yet it is with consternation I look upon a dire shortage of affordable housing for homeless people to dwell. This began under Labour and continued under the Conservatives. I note the Independent story today titled: “Flagship government housing plan fails to deliver a single home in three years” and today’s budget announcement: “£44bn in overall government support for housing to meet target of building 300,000 new homes a year by the middle of the next decade” and a supposed exclusive: “Officials admit it is still an ‘ambition’ to deliver any of the 200,000 homes promised under David Cameron’s Starter Homes initiative”, as well as Labour promises of building a load more affordable homes if and when they get into power. All this is taken with a pinch of salt! I am given to understand that accommodation is also a factor for many people becoming homeless, e.g. research on the matter indicates the end of an Assured Shorthold Tenancy was the main reason followed by evictions by parents / family members / friends. But it should also be borne in mind that while a lack of affordable accommodation is likely the single main reason why people are kept homeless, it is not the only one. One of the sad observations I and others working in the field as it were have discovered is that a good number of homeless people who find accommodation soon find themselves back on the streets, with the main reason being their inability to sustain their tenancy. The lack of support when some support is needed is glaring. It is all too obvious that needs around mental health and substance misuse are often not being met. The upshot of today’s housing shortage is that the already disadvantaged homeless are often the ones to suffer, and but for those who do help it would be far worse. Meantime, I throw all this into the pot for further discussion and continue doing what I can to help, mindful there is a lot more that can be done but the biggest hurdle remains: not having enough affordable accommodation.